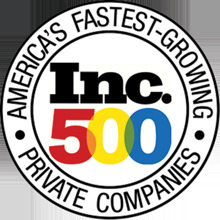 Vertiglo Software is an INC500 growth company that builds data driven web based services for startups and companies behind the scenes. We're laser focused on simple, clean and process oriented workflows. Our success stems from a deep commitment to your business goals and a continual sprint to evaluate the development of your project. When you understand how to leverage customer information, the next hurdle becomes how to do it. Our partnership for the last 14 years has proven the commitment of helping us succeed. Project took longer than expected and did not disappoint on functionality. Strategically, the wait changed the platform [for the better]. It’s what Vertiglo noticed in the design sprints. Refreshing they spend time learning our business culture. This is one company I don't do any comparison shopping for services. We loop Vertiglo into our tech planning and internal sales meetings. Many years of tech vendors, I respect Vertiglo’s push for relationship building than a quick sale. For me, technical deliverables are mission critical over any sales pitch. Luke delivers on both. Luke’s team always cared to explain what was happening behind the scenes. Vertiglo builds simple apps with continual department impact. © 2019 Vertiglo Software, LLC.